Now available from 35th Star Publishing of Charleston. Alfred Mallory Edgar was born on July 10, 1837, in Greenbrier County, [West] Virginia, the son of Archer Edgar and Nancy Howe Pearis. Their mill, known as Edgar’s Mill, is now the site of present day Ronceverte, West Virginia. At the outbreak of the Civil War, the family owned ten slaves, five males and five females, ranging in age from 7 to 39 years old. On May 9, 1861, at 23 years of age, Alfred volunteered for service in the Greenbrier Rifles, which would become part of the 27th Virginia Infantry, a regiment in the famous Stonewall Brigade of the Confederate Army. The Stonewall Brigade received their name from their legendary commander, General Thomas J. “Stonewall” Jackson. The 27th Virginia fought in many of the major campaigns and battles of the Civil War, including First Manassas, the 1862 Shenandoah Valley Campaign, Antietam, Fredericksburg, Chancellorsville, Gettysburg, and the 1864 battles of the Wilderness. Edgar was wounded in the left shoulder at the Bloody Angle at Spotsylvania Court House, Virginia, on May 12, 1864, and was made a prisoner of war. He was sent to Fort Delaware until he became part of a group that would be known as The Immortal 600. This group of Confederate officers were taken to Morris Island, South Carolina, at the entrance to Charleston Harbor, and exposed to enemy artillery fire for 45 days in an attempt to silence the Confederate gunners manning Fort Sumter. This was in retaliation for the Confederate Army imprisoning 50 Union Army officers and using them as human shields against federal artillery in the city of Charleston, in an attempt to stop Union artillery from firing upon the city. Edgar was finally released on June 16, 1865. 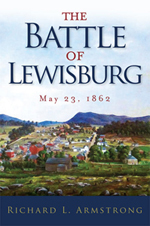 In June, 1875, he married Lydia McNeel, daughter of Col. Paul McNeel, whom he had met while a student at the old Lewisburg Academy. They settled at Hillsboro in Pocahontas County, West Virginia, where he was a farmer and stockman. Captain Edgar died in Pocahontas County on October 8, 1913, and is buried in the McNeel Cemetery. Later in life, he wrote his reminiscences of the war. This work presents those memoirs with only minimal editing. It is the compelling personal account of a young Confederate soldier describing his dramatic experience in the Civil War and its impact on his life, family, and community. 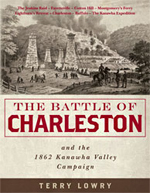 Purchase online from the West Virginia Book Company.